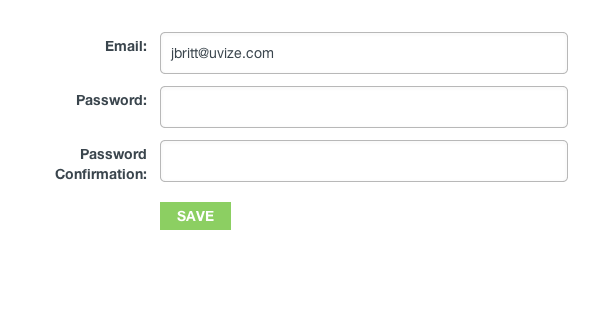 You can create an account at https://www.uvize.com/users/sign_up. Uvize is currently only allowing students to register from schools with a valid activation code. 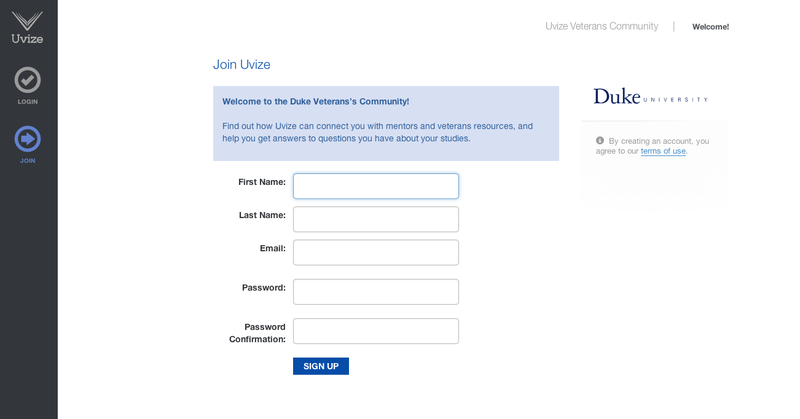 If you would like to learn how to get Uvize for your school, click here. You can log in at Uvize.com. 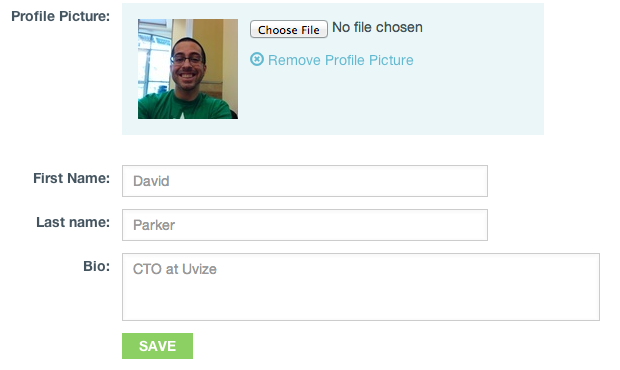 On Uvize.com, you can click the "remember me" checkbox to stay logged into Uvize. This will allow you to close the browser and stay logged in when you reopen the browser to another session. You can reset your password at the following link: reset password link. After submitting your email address, click the "CHANGE PASSWORD" link within the "Reset password instructions" email. If you did not submit the password reset request, you can ignore this email and your password will remain unchanged. Then click the 'edit profile' on your profile page. From here, you can change your personal details, information, mentor details, email settings, and account settings. Here you can change your profile picture, input your first and last name, and write a bio. Your bio should be used information about yourself that you'd like to share with others. Your bio is searchable by others, so remember that it'll help others to find you. See Uploading a profile image to learn more about profile images. This is where you can change your major, your year, or your branch of service. Majors are searchable, so be sure to include yours so other students can see what you're studying. At this time, your year can be Freshman, Sophomore, Junior, Senior, or Grad Student. Of course, as a vet-founded company, we love all our military brethren, so be sure to input your branch of service as well if you have served. 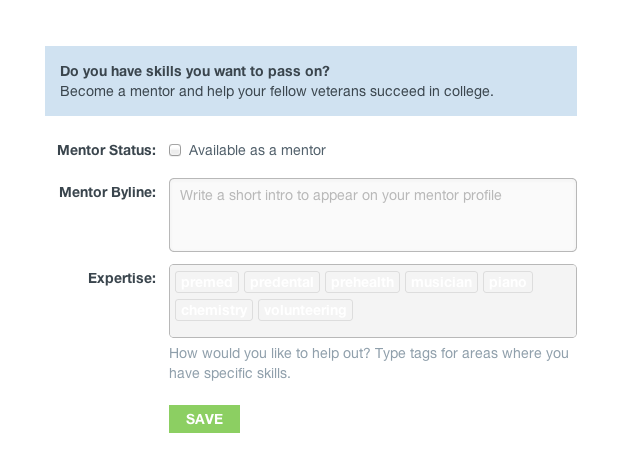 On the mentor details tab, you can choose whether or not you want to make yourself available as a mentor. See Becoming a mentor to learn more about mentorship. Here you can edit your email settings. 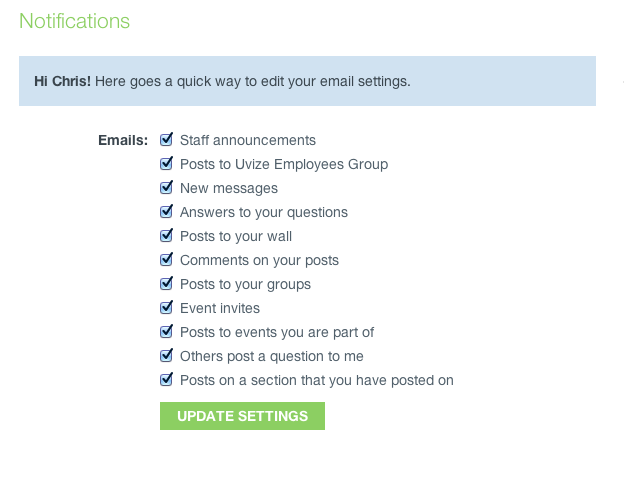 See email preferences to learn more about email settings. On the account settings tab, you can choose to hire your profile from global users, change your email address, and change your password. From here, click "choose file" which will allow you to select a file from your computer/mobile device to upload as your profile picture. Finally, click "save". Depending on the size of your file and Internet connection speed, it may take a few seconds to upload your image. We currently have a 4MB limit for profile image upload sizes. From your profile page, hover over the area above your profile image and click "Choose a cover image" on the right-hand side. This will allow you to select a file from your computer/mobile device to upload as your cover picture. Finally click "save". Depending on the size of your file and Internet connection speed, it may take a few seconds to upload your image. We currently have a 4MB limit for cover image upload sizes. Additionally, you can turn off emails (and notifications) from individual groups. Next, click the 'email settings' tab. From here, you'll see the same eleven settings for your account which you can enable or disable. 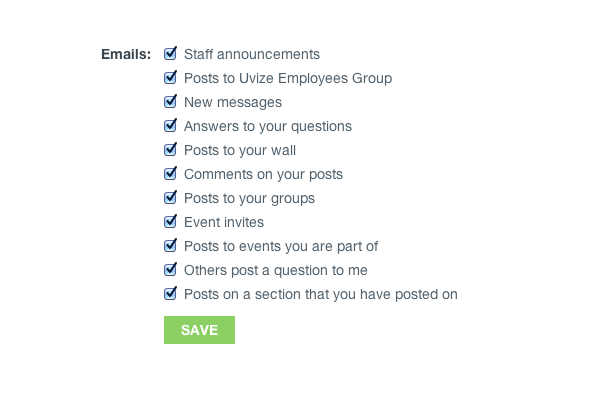 To turn off emails (and notifications) from individual groups, go to the group's page and click the arrow next to member on the right of the screen. Then select "unsubscribe" from the dropdown menu.